Proving that experience only enhances performance, veteran superstar Felipe Reyes of Real Madrid helped the defending champs take a hard-fought victory on Friday while earning himself the weekly MVP honor for Top 16 Round 3. 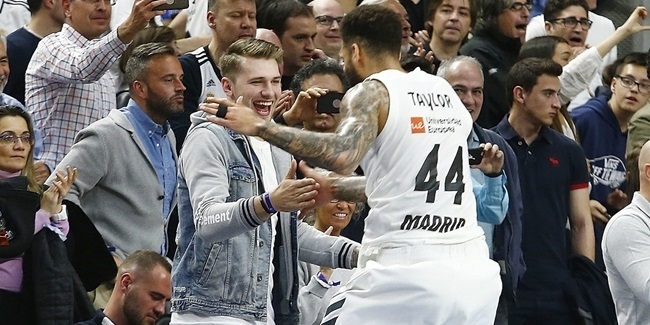 In his 243rd Euroleague game, Reyes posted his best scoring night ever in the competition to lead Madrid to a 92-86 home win over Zalgiris Kaunas. 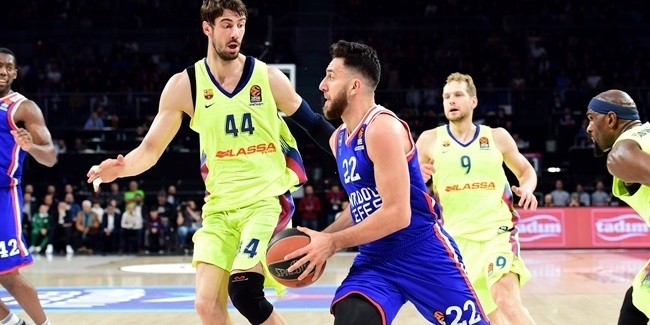 Reyes poured in 24 points while taking 6 rebounds to go with 3 assists, a steal and 8 fouls drawn for a performance index rating of 32, the best among all Euroleague players this week. 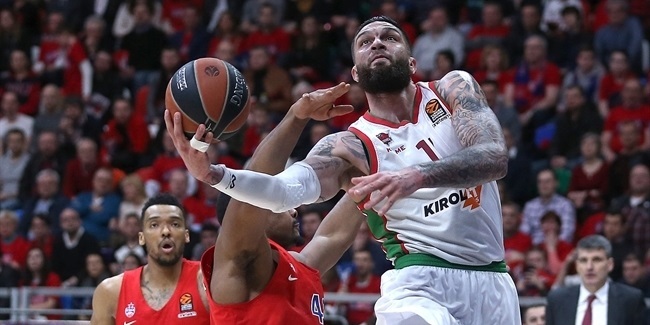 What's more, he did all that damage in just 20 minutes on the floor, demonstrating why he is ranked fifth in per-minute production in this, his 12th Euroleague season. Reyes edged frontline mate and December MVP Gustavo Ayon for the weekly honor. Ayon had Round 3's only double-double and led all players this week in both rebounds and blocks. He totaled 16 points, 15 boards and 3 blocks for an index rating of 30. James Augustine of Khimki Moscow Region was not far behind, posting a 29 index rating in a 76-68 win over Laboral Kutxa Vitoria. Augustine scored 22 points with just 3 missed shots, 8 rebound, 2 assists and 2 steals. Rounding out the list of Round 3 stars were Anadolu Efes Istanbul guard Jayson Granger and Khimki scorer Alexey Shved. Granger came off the bench to lead Efes over Darussafaka Dogus Istanbul 84-71 with 15 points, 8 assists, 5 rebounds and a 27 index. Shved recorded 24 points, 5 rebounds, 5 assists and 2 steals for an index rating of 26. Reyes, Shved and Cedevita Zagreb forward Luka Babic all scored 24 points to share the distinction of being Round 3's best scorer. Nando De Colo of CSKA Moscow missed his team's victory with an ankle injury, but remains the competition's leading scorer with an average of 19.1 points per game. Ayon was this round's leading rebounder with his 15 boards, which pushed his average to 8.2, second only to Laboral Kutxa Vitoria Gasteiz center Ioannis Bourousis (8.8 rpg.) on the full season rebounding charts. Khimki point guard Tyrese Rice dished a career-high 13 assists, which were the most of any player this week. Thomas Heurtel of Efes leads all players with 7.8 assists per game. Panathinaikos Athens playmaker Nick Calathes is the Euroleague steals leader both for Round 3 and the season. He stole 5 balls on Thursday against Crvena Zvezda Telekom Belgrade and is averaging 2.15 for the campaign. Nobody had more blocks than Ayon's 3 this week. Fenerbahce Istanbul center Ekpe Udoh and Zvezda forward Quincy Miller share the season's top spot with averages of 1.82 per game.